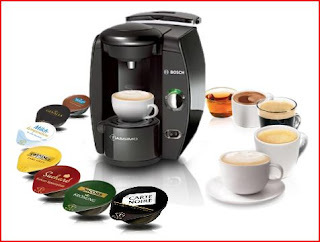 Was the dancing a good idea for Tassimo Brewbot and Bosch? The Tassimo BrewBot campaign is showing a dancing robot! In general, I love the dance metaphor in brand communication but this time something is not the way it should be. First of all, we've seen a lot of dancing robots already - cars and all kinds of transforming machines. So, no element of surprise anymore. Second, we have a coffee machine by Bosch here. Does anybody perceive this brand as fun, young and... dancing?! Me not. So why do we decide to make this product dance, bearing in mind the mother brand? I wouldn't do so just for the sake of being original and entertaining (or trying to be). If someone wants to explain that decision, please, you are very welcome to do so. Discussion is always a good thing. 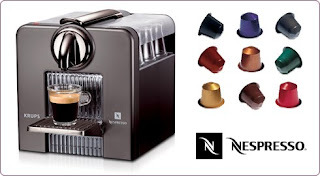 And one final remark here... the whole product experience with the coffee machine and the capsules with different tastes in different colors reminds me immediately of Nespresso. Is it a good strategy to follow a big player in the field both in terms of product and communication strategy? It might be, but don't try to fight for the best and the most original campaign in the end of the year, please! In the end, the dance metaphor is not a good solution for every brand. I will stand for this statement despite my passion for dancing and rhythm as communication system. Or let's put it this way - there is no wrong or right communication, there is only appropriate or not appropriate one! Sometimes brands try to tell their stories using different art forms. Is it a good way? Yes! Art form such as dance could transmit a strong idea or create a metaphor of a brand personality using emotional message and at the same time be based on rational strategic concept. Results can be surprisingly good. 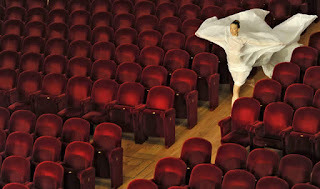 A cooperation between Tod's shoe brand and theater La Scala - Milan is an intersting exaple on how it works.